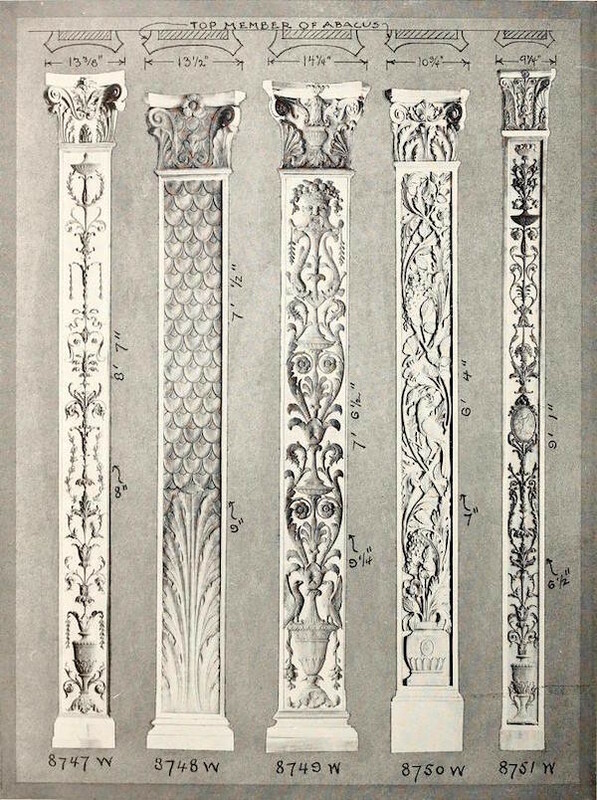 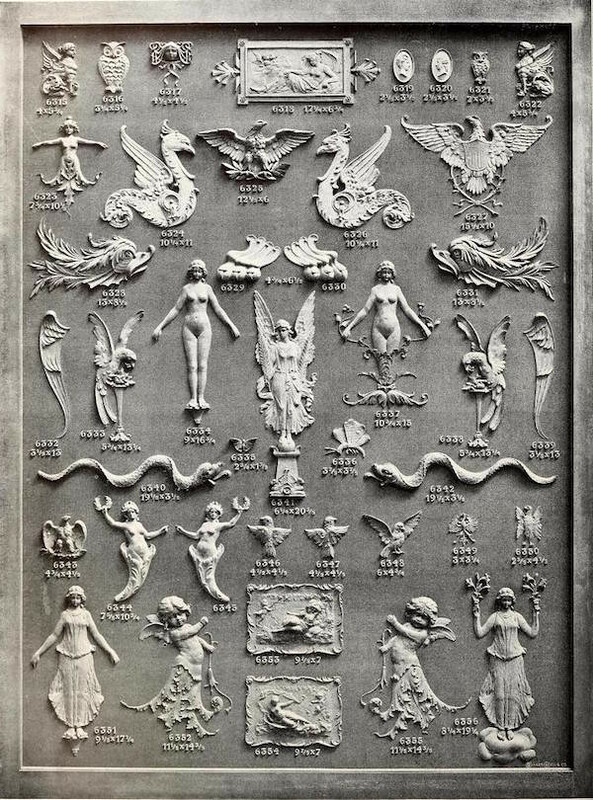 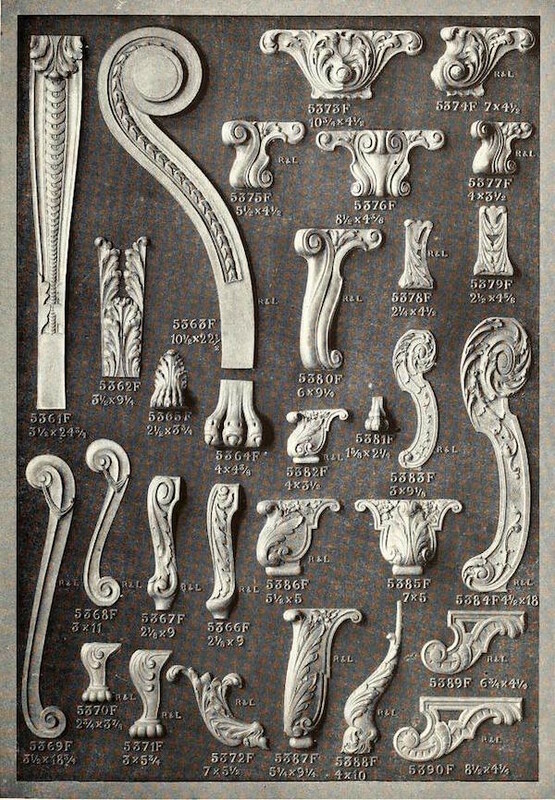 The Illustrated Catalogue of Period Ornaments Cast in Composition and Wood Fibre for Woodwork-Furniture features samples of wood carvings offered by the Decorators Supply Company of Chicago at the beginning of the 20th century. 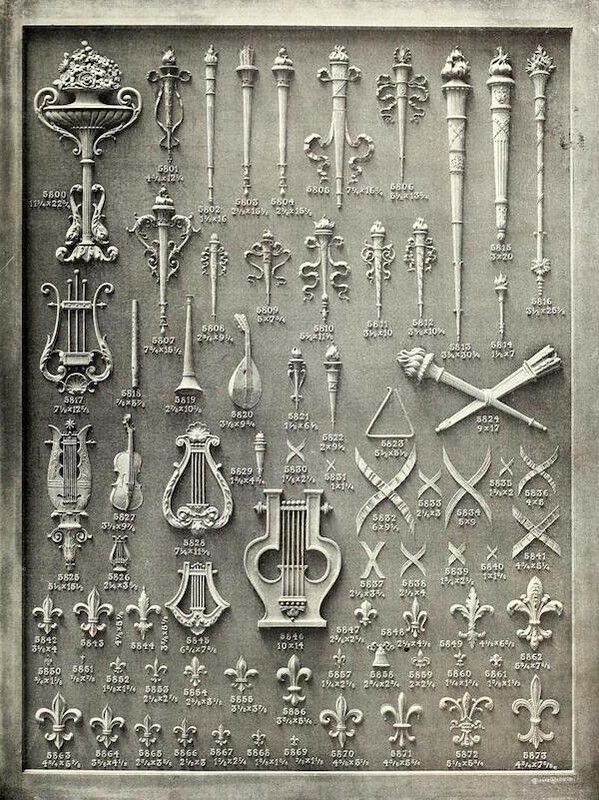 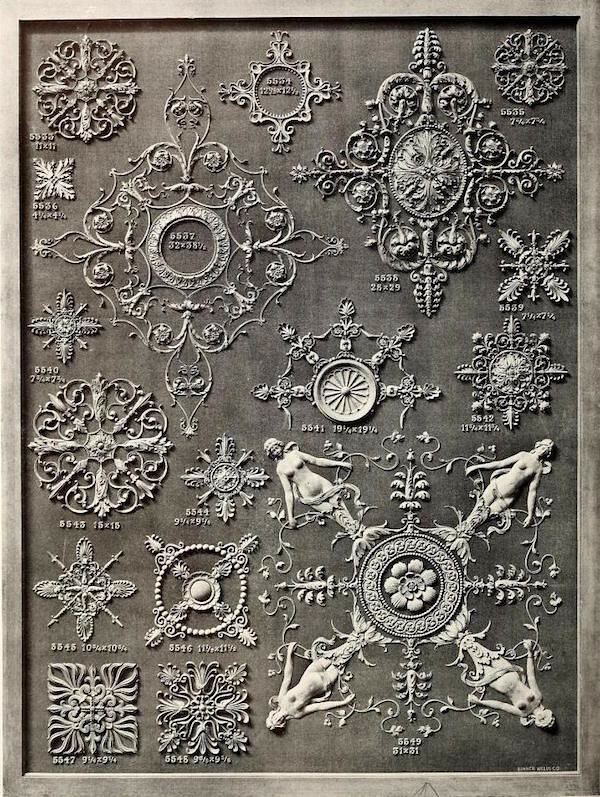 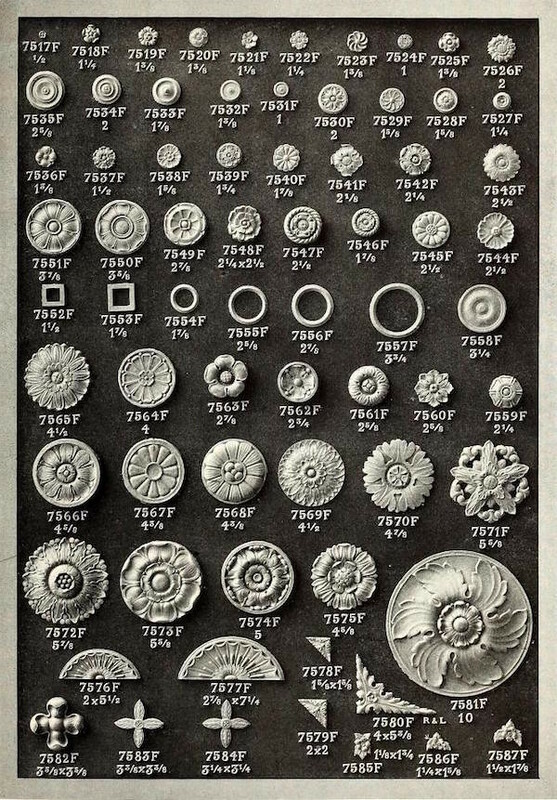 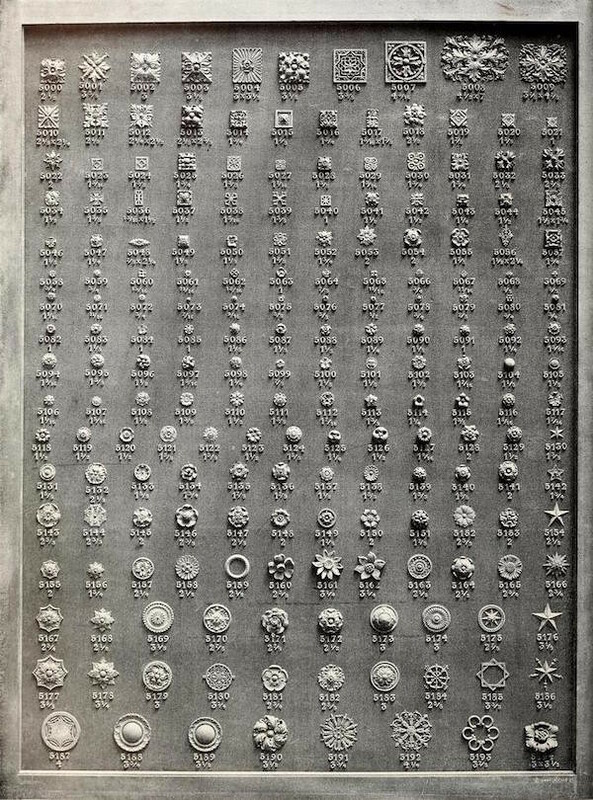 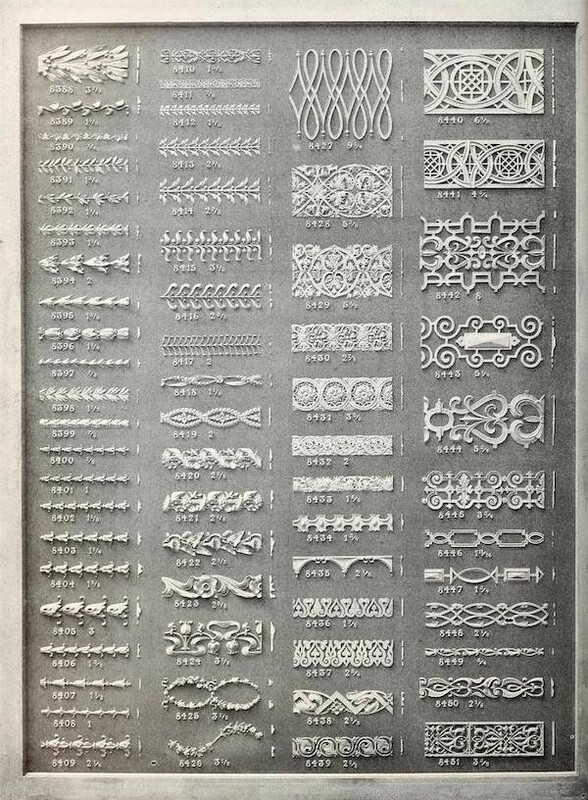 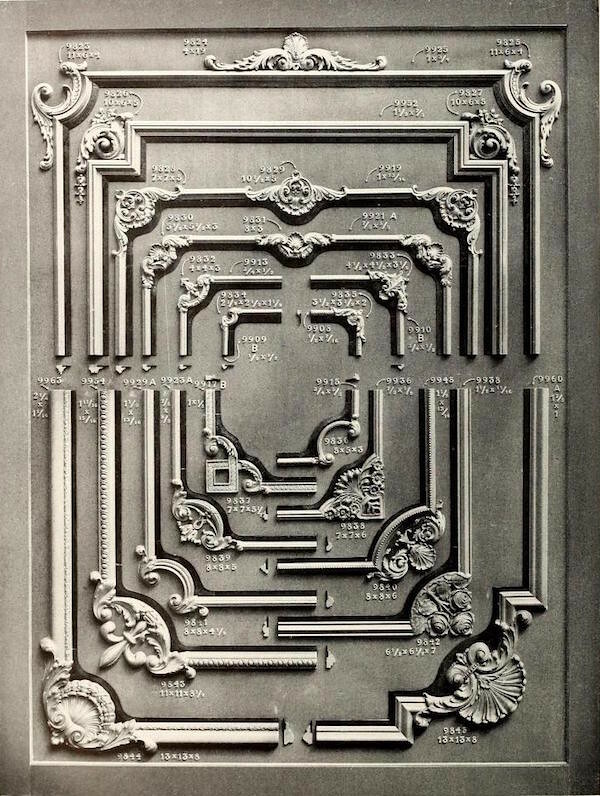 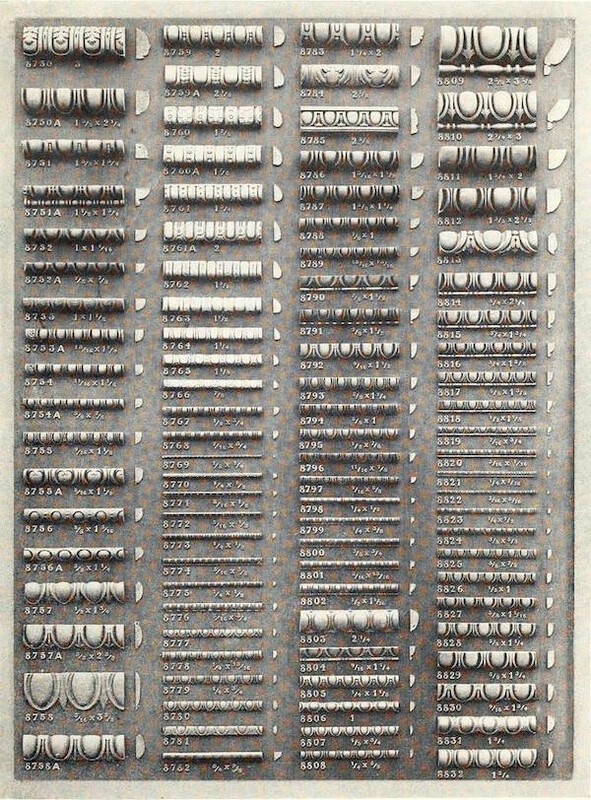 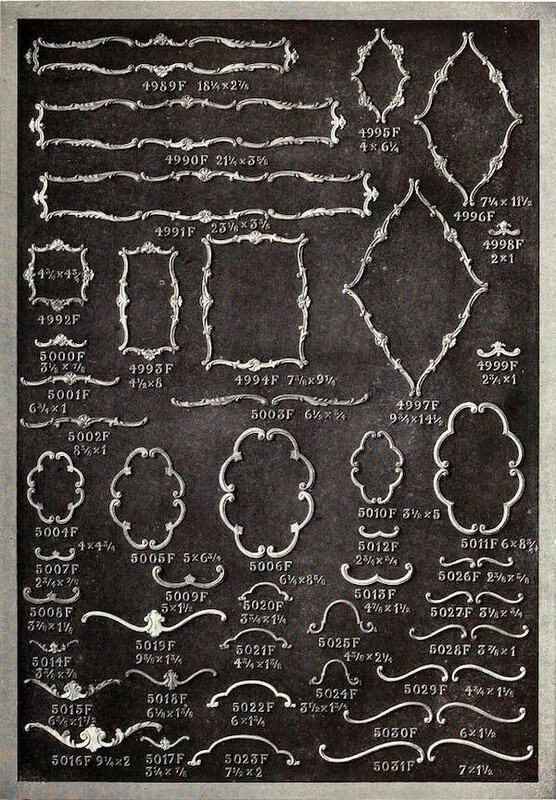 These decorative elements — so pleasingly presented in the catalogue — could be glued or nailed to furniture, ceilings, and other architectural surfaces. 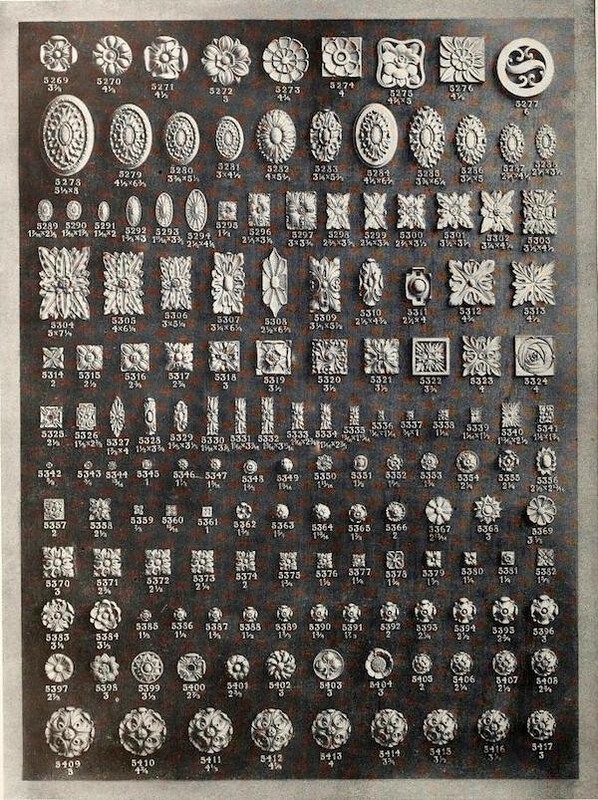 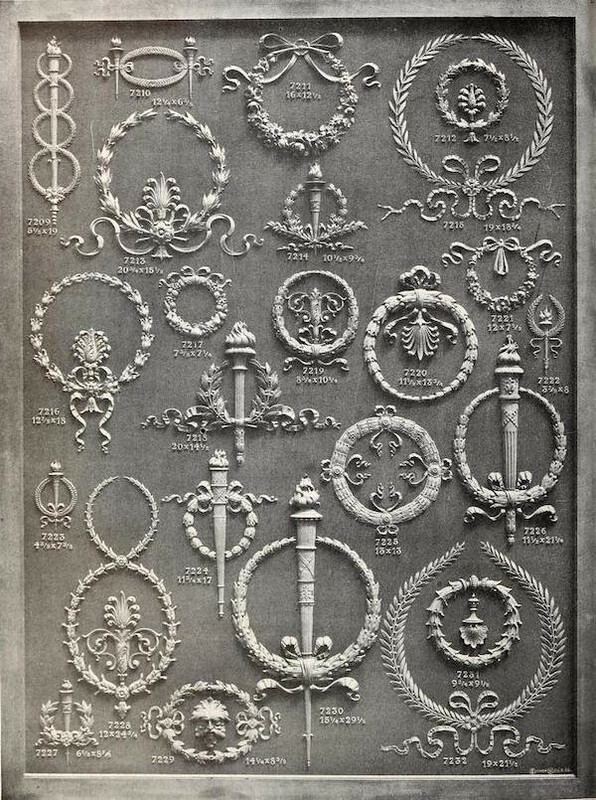 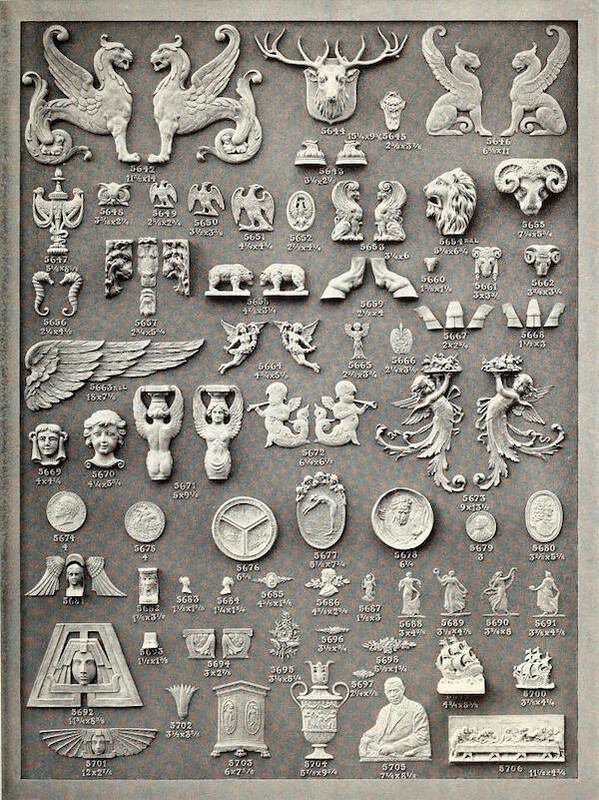 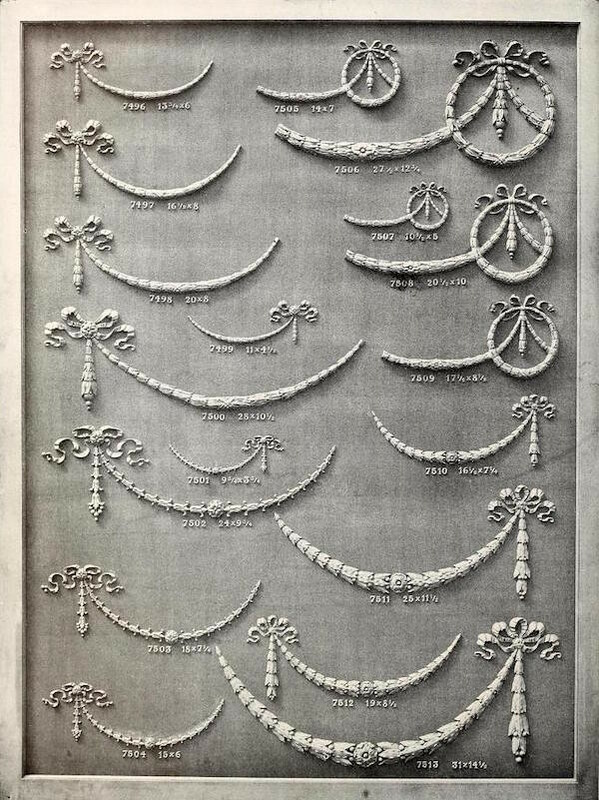 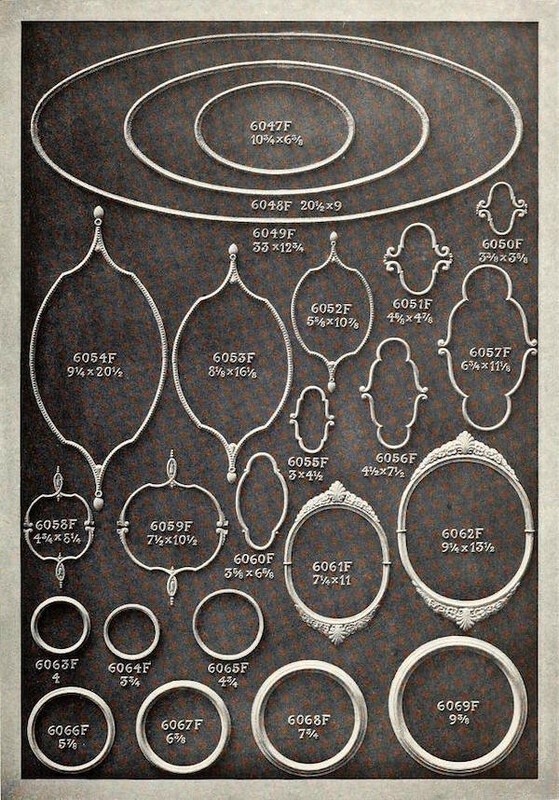 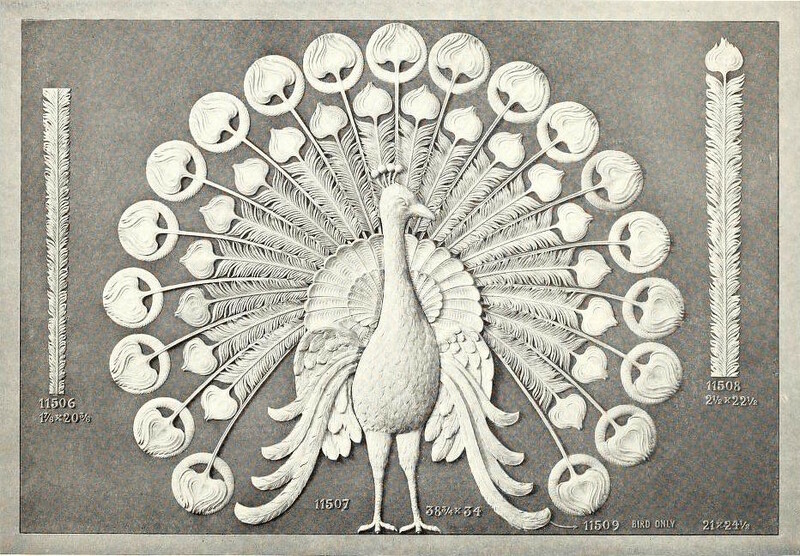 The catalogue would have been used not only to display the Company’s selection of ornaments, but also to allow customers to request personalised designs. 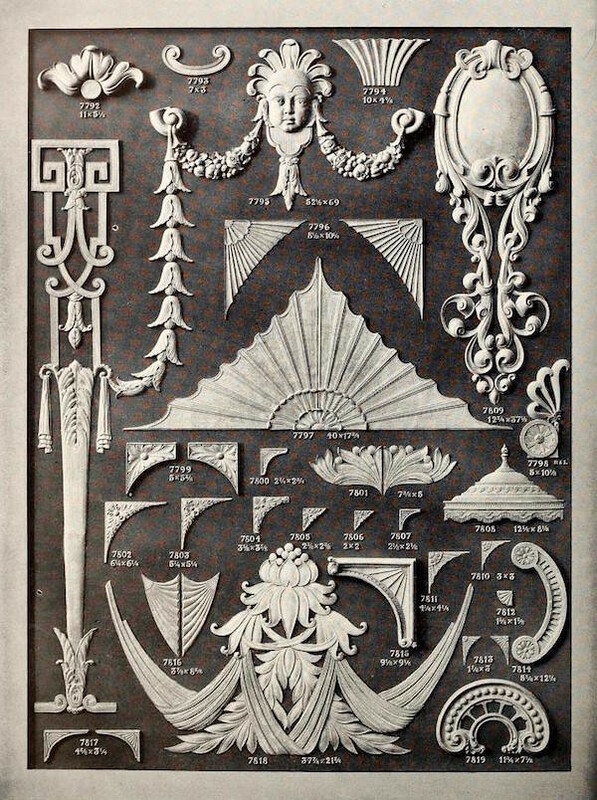 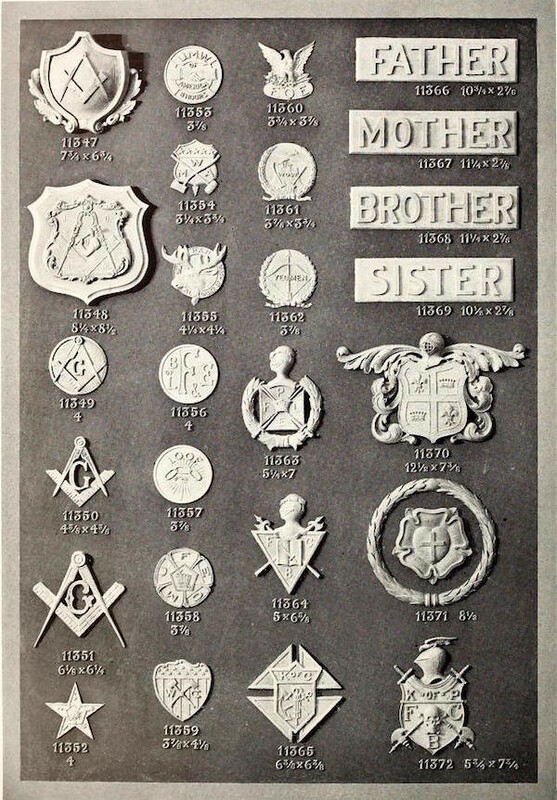 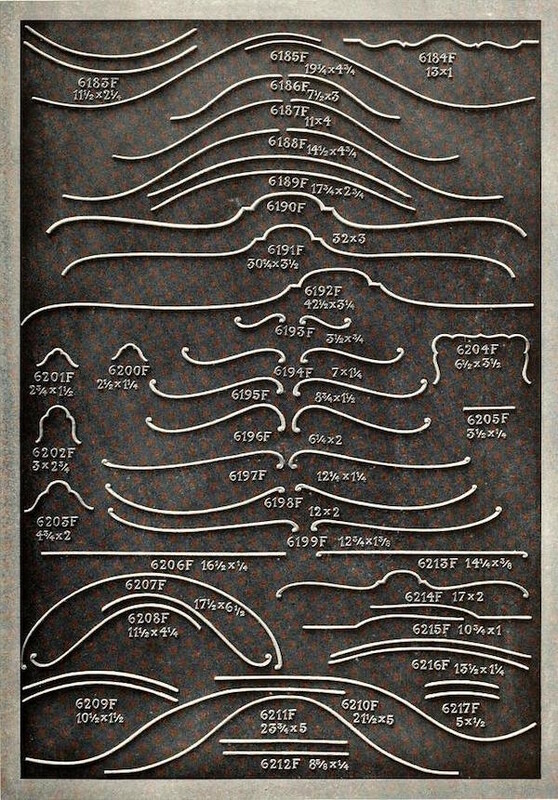 The Decorators Supply Corporation of Chicago is still operative to this day and it specializes in the production of “composition carvings”, also present in the catalogue. 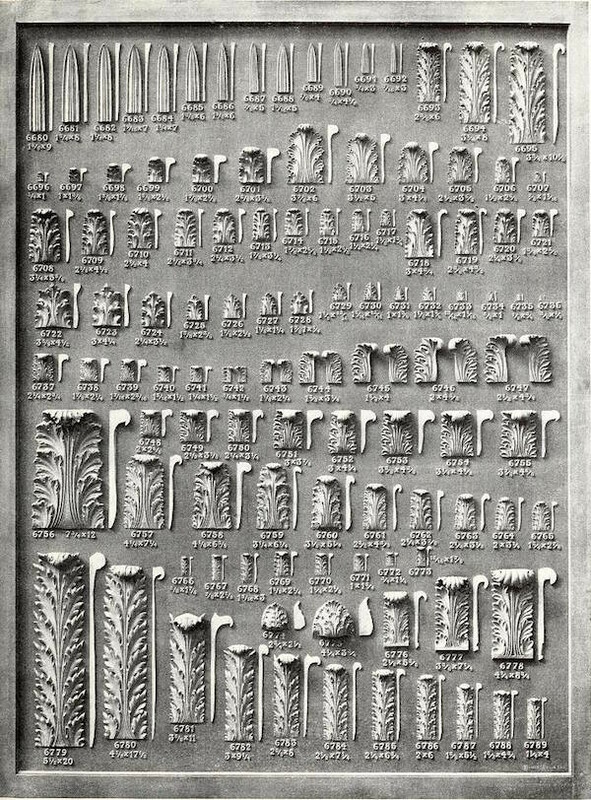 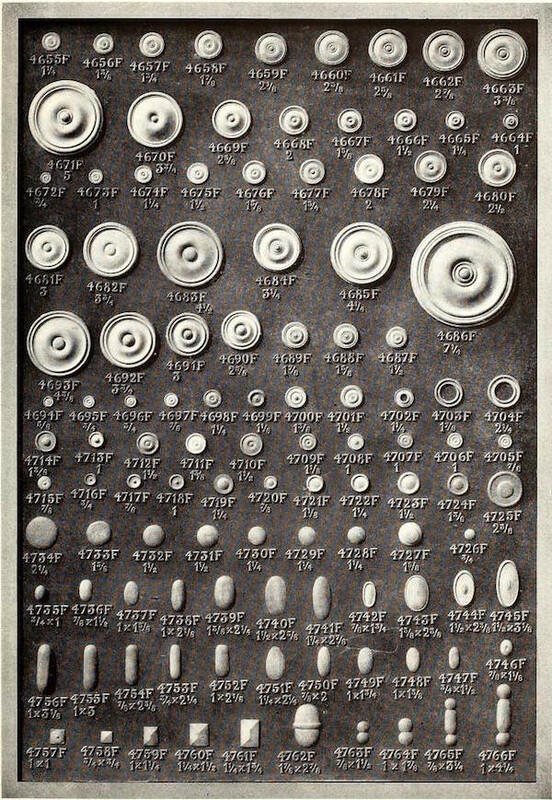 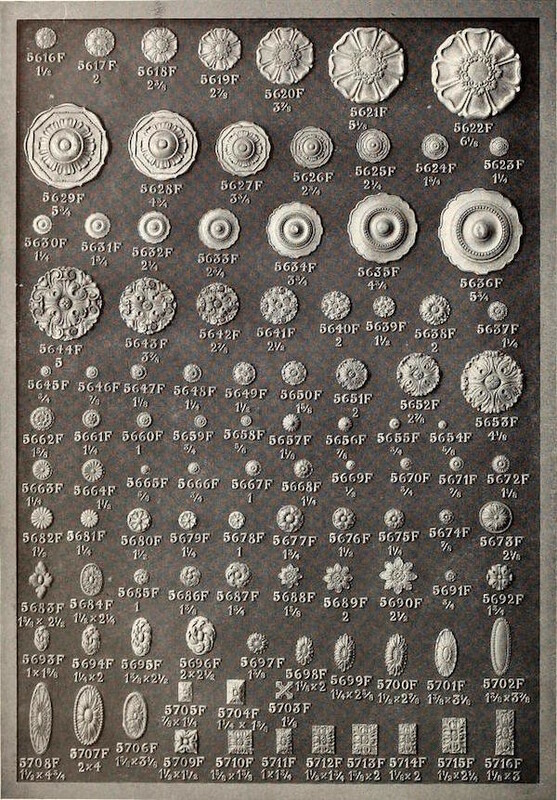 These are ornaments which are cast from mixtures containing, among other materials, pitch, oil, and clay.